Wei (Terry) Xu DipWSET is the co-founder of wine consultancy and marketing agency Aroma Republic, is a wine consultant for the online retailer Yesmywine.com and a WSET Certified Educator. Terry has is also one of the most influential wine bloggers in China; we asked him about his the changing wine culture in China and his passion for wine communication. I fell in love with wine when I studied at Bordeaux Business School in 2005. An amazing learning experience, but particularly memorable as the city of Bordeaux smells like Cabernet and Merlot! I then started working for the Chamber of Commerce of Bordeaux; this allowed me to get in touch with many wineries and to travel with them to China. I found out that the universe of wine was brilliantly diverse and very connected to people (not forgetting that wine tastes very good as well!). In 2007, I returned to China to start my career in the wine business. Can you tell us what you enjoy most about teaching? In Chinese philosophy, you are a GOOD man if you can manage your life and improve yourself with time. But you are a GREAT man if you can also help other people to improve their lives. I think that is what I enjoy the most about teaching (actually, I prefer to call it sharing). By sharing my passion and my understanding of wine, I believe I can help others to be more sensitive and to be more curious about the world itself. And curiosity and passion are the key elements that I believe will drive people going forward both in working and living. What made you want to join our Alumni Advisory Board? China is big and we WSET Diploma Alumni are few. The market needs to be driven more by professionals who share the same vision. I believe that is exactly the alumni body’s goal: “We aim to help foster mutually beneficial, lifelong relationships amongst the alumni community and to support the careers of our graduates as they go on to define the future of the industry." I am so happy that I am part of the Alumni Advisory Board - It is my desire to unite fellow professionals, to impart information, to help others in the wine industry and then to benefit from the growth of the market. By sharing my passion and my understanding of wine, I believe I can help others to be more sensitive and to be more curious about the world itself. What place does wine have in Chinese culture? Wine consumption is growing very fast in China and wine is becoming ever more popular. But what I sometimes doubt is the “quality” of the growth. While at the moment it is totally ok if most people are drinking entry level wine, if we want to create sustainable growth we need more “young drinking people” to take more of an interest. Not necessarily young in age but young in wine drinking experience. As I wrote in my Decanter column earlier this year, we need to inspire consumers with curiosity, encourage them to try more wines spontaneously and to broaden their border of understanding about the world of wine. Then, we can create a "wine atmosphere" that enables people with different tastes, budgets and backgrounds to all enjoy wine in a "free flow" way. You are one of the most influential wine bloggers in China, is there a growing trend in China to blog about or share wine stories on social media? I believe we are now entering a second era of wine promotion on social media, where you find not only wine professionals’ on social media channels, but also the voices and views of many wine lovers’ and enthusiasts - some of whom have earned a stronger following than the professionals. Since social media is an equal platform, it allows the spread of good content and the growth in influence of any entertaining personalities. On the other hand, as social media channels become increasingly crowded, we have to work harder to attract people’s attention. What we deliver needs to be larger in scope than "just" wine, building in more lifestyle information. What advice would you give to anyone beginning their career in the wine trade in China? My best advice is to find a boss who is capable and willing to mentor and teach you. And be aware, you can hardly become super-rich in the wine trade in China. I have found it rewarding, but it’s best to follow your interests and do what you love, whether it is wine education, sales or marketing. 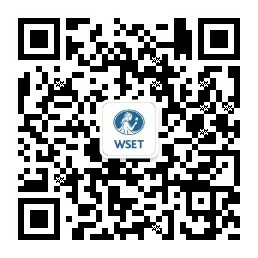 Do you think that wine education will expand in China? Yes, especially wine consumers who will take part more and more wine education. In my experience, I’ve seen increasing numbers of enthusiasts in the classroom. There are also more women showing an interest. With an Ice Wine from China receiving a platinum award at the 2016 Decanter Awards and many others being highly rated, do you think enough is being done to grow the export market for Chinese wines? It is obvious that Chinese wine quality has greatly improved in last decade and it enjoys more and more awards, ratings and trophies nationally and internationally. However, I don't think Chinese wine is price-competitive or well-known enough to export. There is an old Chinese saying: Distant water can't put out a nearby fire. So I think Chinese wineries should focus first on the local market which is now one of the most dynamic and exciting markets in the world. Terry Xu will be presenting one of WSET's masterclass sessions at ProWine China (7-9 November 2016). See the full schedule here.